Talking about one of the most gorgeous American rapper who has done great exploit in life and she has really made a great recognition for herself in the world at large. She is known to have also manage to gain immersive fame all around the world due to her not so usual lifestyles. She has many admirers who are so in love with her beauty and exotic body. Her work in the American music industry as made way for her and she has managed to acquire a lot of success and hard die fans. Nicki is known to be very talented and her music are often loved by a lot of personality both in American and the world as a whole. Nicki is so great that her contribution to music can’t be left unappreciated. Nicki is known to have developed love for rapping from a very tender age. She has been rapping since childhood and she is known for singing among the church choir during her childhood but she recorded her first ever rap songs when she clocked 12 years old and she started having many shows and she stated that she has always been excited to perform and she stated that anywhere she goes she is always singing and acting. Her love for acting has brought her great recognition in the entertainment world. 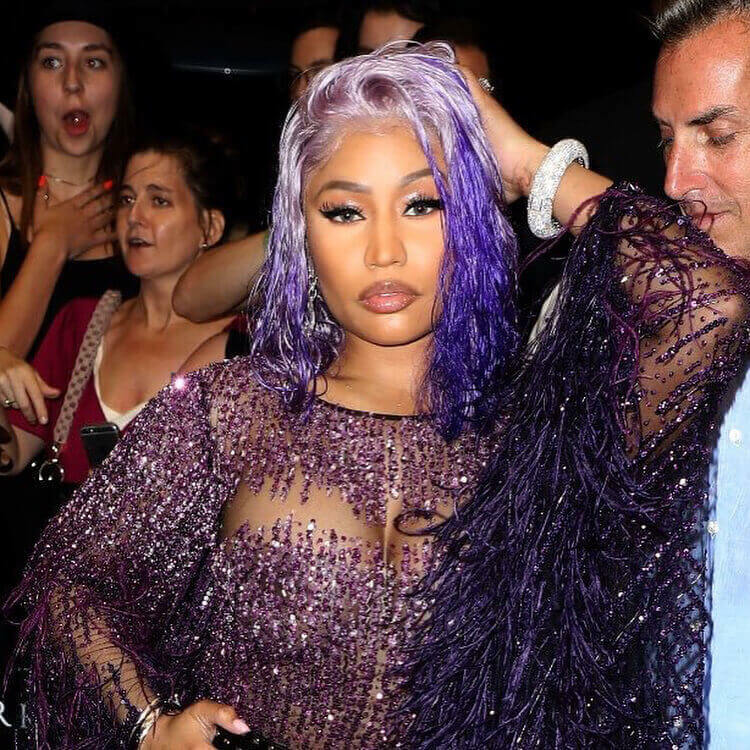 Rumors has once spread wide that Nicki had an abortion while she was tender but she came out to speak about it that it was the hardest thing she has ever experienced in her life and going through that process is one the hardest experience. She had the abortion when she was 15 years old and she also rap about her abortion experience in one of her single which she titled ‘AUTOBIOGRAPHY’. In the single she apologies to her child, that she is very young and she has to do it for her safety and success. Nicki had a very rough childhood her father was an addicted drug user who has once sold their house furniture to buy himself drugs. She stated that her father often beat her father which cause them to separate and her mother moved away to raise her and her siblings. She was moved from school to school due to her family issues. She stated that things went so bad in her family that her father set the house ablaze in the process of trying to kill her mother. She said all these things that happen to her mother made her determine to do great exploit in life and she has always been a women empowerment supporter in order to make her mother strong and happy she decided to make herself strong and she stepped out to pursue her life career as a rapper. Thank to all her scarifies she is now a great and successful personality. Nicki is known for her success and a wide kind of fame and she is also known to have paved way for herself in the entertainment world. She is one the best American female rapper who is very well recognized. She has topped many billboard chart over the years. In 2017 she surpassed Aretha Franklin for the most billboard hot 100 hit of many female musicians in the chart 58 years’ history and she has also beat out the Queen of soul 73 appearances at 76, she has lead great and notable artist on the billboard chart such as Beyoncé, Taylor Swift, Rihanna and Madonna. In 2018 she increased her total number of appearances on the chart to 87. She has released many interesting singles which has brought her this far on the billboard chart. In 2016 she got a place in the 100 most influential personality on the Time Magazine. The magazine often picks 100 most influential every year and Nicki name was mentioned in 2016. She is known to earn immersive success in the music industry and she topped number one as the most successful female rapper in American of all time. Her video ANACONDA broke the YouTube Records of all time. Her video broke the YouTube channel before 24 hours and it became the number 1 top most viewed video before 24 hours of any video in VEVO and it has over 19.6 million clicks in the first day. Nicki has been involved in many social media beef and she has also engaged on many epic rap battle between her and remy ma which is played out on SHELTHER AND NO FRAUD. She also had a misunderstanding with MILEY CYRUS which resulted in the now historic MILEY What’s good? She also had beef with MARIAH CAREY which almost brought down American Idol and she also had issues with Taylor Swift. She had beef with Demi Lovato during an exchange at the MET GALA and she also dished Lim Kim on her album PINK FRIDAY after she was accused for stealing her style and sound. In the recent month she has also had crisis with the famous super star CARDI B. She has a very bold tattoo on her arm which she often fluent and the tattoo is boldly written in Chinese she took to her Instagram account to tell her fans what the tattoo actually means, she stated that its written in Chinese and it means “God will be with you”. She has drawn other kind of tattoo on some part of her body, like every other notable American artist Nicki Minaj is also a tattoo fan and we can easily say it suit her perfectly. In 2015 she started an ABC television show which is based on her life story. She signed a deal with the ABC to develop her adolescence it and it was showed on the ABC Family. The series was later postponed in 2016 due to the fact Nicki wanted to have some changes on the show along with the pilot. We can’t really conclude if the show is totally canceled or will still be aired. She has attended acting school while she was growing up although she has always had great love for rapping since childhood but she has also made role in the movie industry and she featured in the movie along with notable actors. She is also very obsessed with MERYL STREEP and she has stated that for some period she often watched THE DEVIL WEARS PRADA every night before going to bed. She has been a great fan of acting and she stated that she had wish she could combine her love for music and acting together and still manage to do great exploit. She has a great love for fashion and on many occasions she has been accused for doing a body surgery due to her large curls and body beauty. Nicki is a highly fashioned person who has a huge taste for fashion. She is often spot on top location all styles up in any expensive brand. She has top brands as her collections and she is also known to have done advertisement for many notable brands over the years. Of course the exotic and highly stylish super star is very famous on her social media platform. She has gain a quite high number of fans across the world who often follow her on her social media account. Nicki is well loved all over the world and her beauty is among her great possession which makes black and white men fall at her feet. Nicki Minaj can be classified as a great super star.